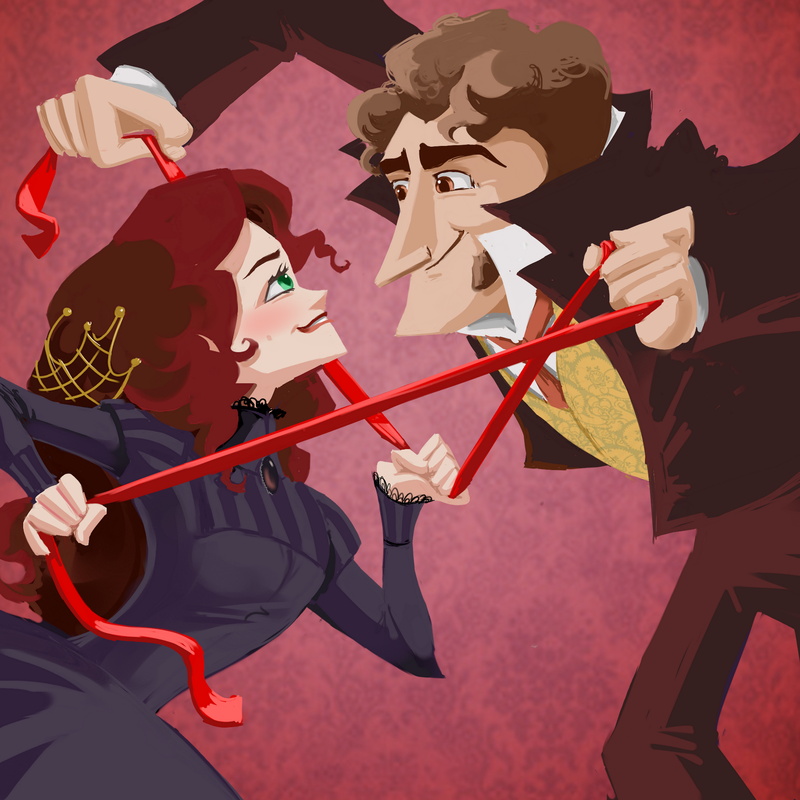 There’s a Victorian dance called the Entwine. It’s danced with a long sash and is a lot like an open waltz. The lady and the gentleman take dance position, each holding the end of the sash, and the gentleman tries to “catch” the lady around the wrists in a series of turns and promenades and twists. The lady ducks and spins. If she eludes capture within three minutes’ time, she wins! It’s a really fun and competitive dance. Ok. I made that up. I made it all up. But there is a reason for this post! I don’t talk much about my story work, but this is pretty exciting. Some of you may know that these past few years I’ve been working on a big writing project–a YA (young adult) Victorian re-telling of the Twelve Dancing Princesses. WELL, a few months ago it was accepted by Greenwillow books and is going to be published! I feel very lucky for the talented story people who’ve helped me to really improve it and make it shine, including my agent and editor, who have showed a lot of faith in me. And, especially, Lisa Hale. The title is “Entwined” and it will hit the shelves early next year! Super exciting.